Coverage: 12 - 15 square metres per litre. Drying Time: Touch dry in 30 minutes. (on hot days may be touch dry within 10 minutes). 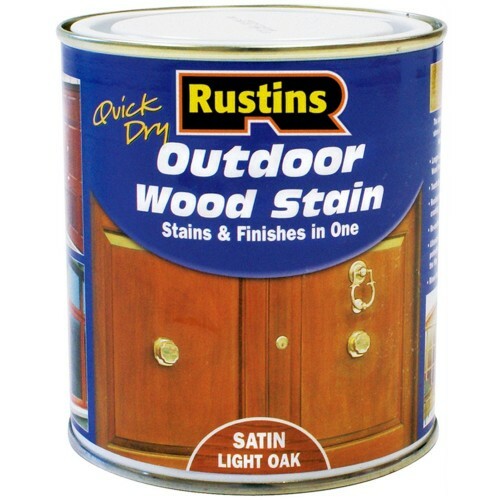 Quick drying, durable, exterior stain. Re-coatable in 4 hours. Gives long lasting protection to all external wood. Make sure to apply 3 coats and lightly sand after 1st coat if there is raising of the grain. 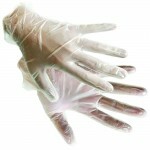 Surfaces must be clean, dry and free of wax, grease and contaminants, smooth and sound. Clean brushes in warm soapy water. 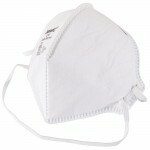 Low odour, resists cracking, peeling and blistering. 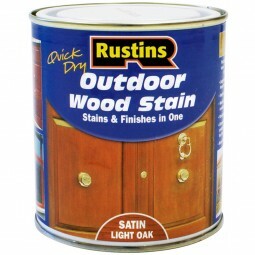 Suitable for exterior joinery both hard & softwood, doors, windows, garden furniture, conservatories.